A significant fossil find on the Newfoundland coastline could shed light on what may be the oldest physical evidence of reproduction in a complex organism. A team led by researchers from England's University of Cambridge found the fossils in the Trinity Bay North area. The new fossils were estimated to be 565 million years old and belonged to Fractofusus, a type of rangeomorph. 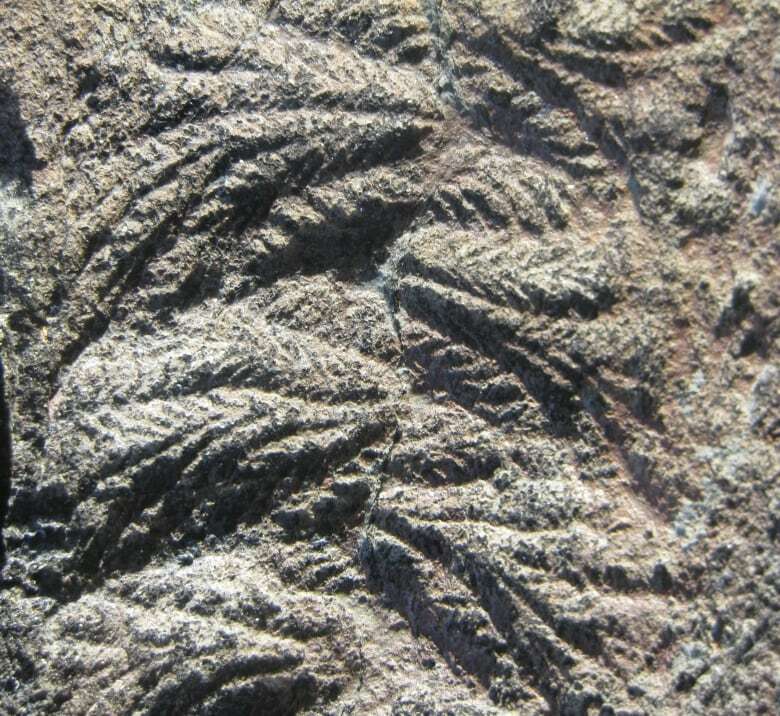 Rangemorphs, marine organisms that looked a bit like ferns, were some of the earliest complex organisms on Earth. Earlier life forms were mostly single-celled and reproduced simply by dividing. The Fractofusus fossils are clustered together in a way that suggests there are three generations of organisms in a cluster — larger, older ones surrounded by younger, smaller ones. Jack Matthews of Oxford University has been studying rocks in Newfoundland for about eight years. He was part of the team that found the fossils. "It [the clustering] suggests that these organisms could reproduce rapidly via what's known as asexual reproduction," said Matthews. The pattern strongly resembles clustering observed in modern plants such as strawberries, where smaller offspring grow from "runners" sent out by the older generation. "Many of these fossils are thought to be quite simple in their tissue structures, and the way that they lived and grew in these marine environments," Matthews said. "What we actually see is that they have a very sophisticated system to their biology whereby they can have two methods of reproduction." The researchers think that besides reproducing using "runners," these organisms sometimes propagate using seed-like "propagules" — which is where the largest "grandparents" in the clusters came from. The discovery was published in the journal Nature. 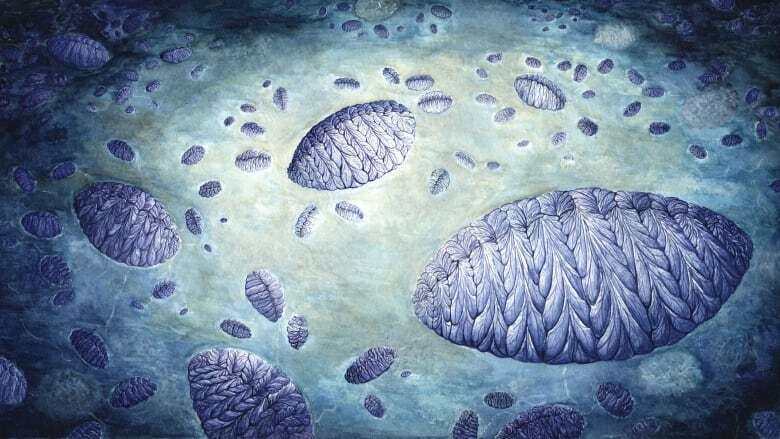 BecauseFractofusus lived at the bottom of the ocean, Matthews said there would have been no sunlight, which means the organism likely couldn't have been plant-based life. However, he added there's no way yet to determine where the fossils fit in the animal or plant kingdoms. "They could possibly be an early animal... They are still very much up for debate about where they fit within the tree of life. They're certainly complex, multi-cellular organisms, but whether they are true animals is still something that is very much up for debate." The recent discovery leaves many other unanswered questions, such as what the organisms fed on. "One of the very interesting things about this time period is that there are often more questions than answers and that's what makes it very exciting to study," said Matthews. Provincial legislation to protect the fossils and the area means any research has to be done without removing samples, said Matthews. He said this discovery illustrates a need to protect these sites for not only scientists, but locals and tourists, to ensure they can be studied further with new technologies. Matthews's team previously made another significant Newfoundland fossil find even older than Fractofusus at Port Union, on Newfoundland's Bonavista Peninsula. The researchers believe that organism, Haootia quadriformis,could be one of the earliest animals, and may show the earliest evidence of muscular tissue.